Writing can be a lonely job.There are times when it can feel as if your only friends are your imaginary ones. Most of us work alone. There are no colleagues to chat to over coffee or to share lunch breaks with. There’s nobody on hand to help if you hit a problem, to discuss ideas with, or just to offer encouragement when your motivation levels are low. But it needn’t be this way. Writers do have colleagues – even if they don’t share a physical office space. And one of the easiest ways to find them is to join a writing club. I recently attended the 70th anniversary party of the Edinburgh Writers Club. It was a very pleasant evening. There was cake, cut by Ian Rankin (I know! I came over all fangirl and couldn’t string a coherent sentence together when he said hallo), there were glasses of bubbly, but best of all there was the company of other writers. I joined the Edinburgh Writers Club (EWC) back in 2000 when I lived in the city. It was at the time when I was just beginning to take my writing seriously and being a member of this most welcoming club helped me to get started. Indeed, I got so much out of my membership that even after I moved to the Isle of Skye in 2004, I kept up my membership and attended meetings whenever I could. I’m still a member today – even after my recent move to the Scottish Borders. And, yes, I’ve joined a local writing group too. So I’m a new member of the Borders Writing Forum (BWF) – another club where I’ve been made very welcome and with lots of new writing opportunities to explore. 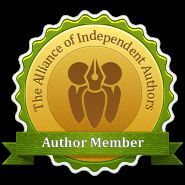 The members at both the EWC and the BWF, range from those taking their first tentative steps to those who are successful, published authors, and everything in-between. The meetings include writing activities and guest speakers. The atmosphere is positive and encouraging and I always feel I learn something useful which could help improve my writing. Like many clubs, EWC offers a series of annual competitions. These cover all the genres including poetry, short stories, drama, non-fiction and novels and entering them give writers invaluable opportunities to learn more about the craft and to extend their skills. They provide deadlines – always good for the procrastinating writer. They tempt participants to step out of their comfort zones and try writing genres other than their usual ones. And most valuable of all they give the writers taking part the chance to get constructive feedback from the adjudicators. Of course there are hundreds of other competitions for writers where no membership of a club is required. They’re available online, in magazines and through large literary organisations. But the advantage of club based competitions is that (other than a modest annual membership fee) they are free to enter and the pool of competitors is relatively small. And very few of these wider competitions offer any useful feedback. Competitions with similar benefits to the club ones stated above are also open to those eligible to attend the annual weekend conference of the Scottish Association of Writers (SAW) held every March. Being a member of an affiliated writing club such as EWC or BWF entitles you to go to the conference. I’ve gone to several of these conferences now and I love them. Winners (and other placed entrants) of the SAW competitions are announced during the weekend conference, usually by the adjudicator of the particular competition, and in front of all the delegates. This provides a good buzz of anticipation and a healthy rivalry between clubs. Besides the competition announcements, there is lots of other stuff going on. There is always an excellent keynote speaker. There are workshops run by established authors and by agents and publishers on a wide variety of writing related topics. There are opportunities to pitch your work to publishing professionals and there’s even a book shop where you can both sell your own books and buy those written by fellow delegates. And then there are all the networking opportunities over drinks in the bar or at mealtimes. But by far the biggest advantage to being a club member, and going to conferences such as the SAW one, is the chance to connect with colleagues. It is wonderful to be with people who not only understand the frustrations of the writing process – the perils of procrastination, and the periodic absences of inspiration, but who also understand the rewards – the satisfaction of completing a piece of work, the joy of having your work appreciated by a reader, and the obsessive compulsion to write. Peer group support in any endeavour is useful, but for the solitary writer I reckon it’s priceless. And although I’m also part of an amazing network of supportive and helpful fellow authors in the virtual, online world, I don’t think you can beat the real world connection with kindred spirits. I’d be interested to hear other writers’ thoughts on the usefulness, or otherwise, of clubs and conferences and the like. Do you value being part of a writing community? Do you connect with other writers, if so how? Please do leave comments below. I have attended a number of conferences in Canada, the Surrey International Writers Conference is the largest, and found them so valuable. I even got to meet Diana Gabaldon, who wrote the popular Outlander series, and had my picture taken with her! Belonging to local writers groups is also valuable to any writer. I felt very alone when I moved to Spain, although I still Skype once a month with my Canadian group, until I met a group of English speaking writers here. We need to get together and encourage each other whenever we can. I would love to attend a conference in the UK someday. You never know, we might meet up at one, one day!